Three words. Oh! My! God!! This book was absolutely phenomenal!! Every sentence, word, and letter was just perfect and I haven't fallen in love with a YA Contemporary like I did this book in what feels like forever!! I couldn't get enough of this book, and I would have read it in one sitting if I didn't have to go to bed for class the next day. I've seen this book all over Goodreads and Booktube but I had never heard of Stephanie so even though everyone was raving and ranting about it, I just kept it on the back burner. Well I can now say that all of the hype is well placed and if you love this genre than you need to read this book....like yesterday! I was able to connect with Anna so much in this story and I knew exactly how she was feeling with all of the struggles she was going through on some level. I know what its like to be the new kid and be so shy and afraid that you decide to just sit back in the shadows because your more than comfortable there. I felt like I was reading my whole senior year of high school (you know minus the whole boarding school in Paris bit). Being able to relate to Anna on such a personal level make this book all the more enjoyable. Even though the setting of this whole book was a boarding school, I felt like it didn't push most of the readers away in terms of reliability. So many times this setting will make it so extremely hard to connect (I'm looking at you Gossip, Girl) that it almost seems ridiculous. But this was definitely not an issue in Stephanie's writing. 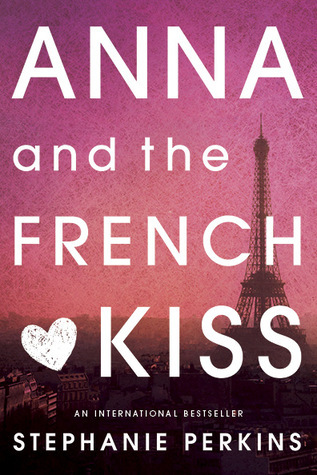 Something else that I really enjoyed about Anna is that even though there was an obvious attraction between the two characters from the start, the whole story didn't focus on just that. As the story and the school year progressed you watched as Anna grew and came out of her shell. She went from being a scared new girl to an independent Parisian (or as close to it as she could get). I wish I had picked this book up sooner because it instantly became one of my favorites of all time. I'm looking forward to see how Etienne and Anna make an appearance in Lola and the Boy Next Door!